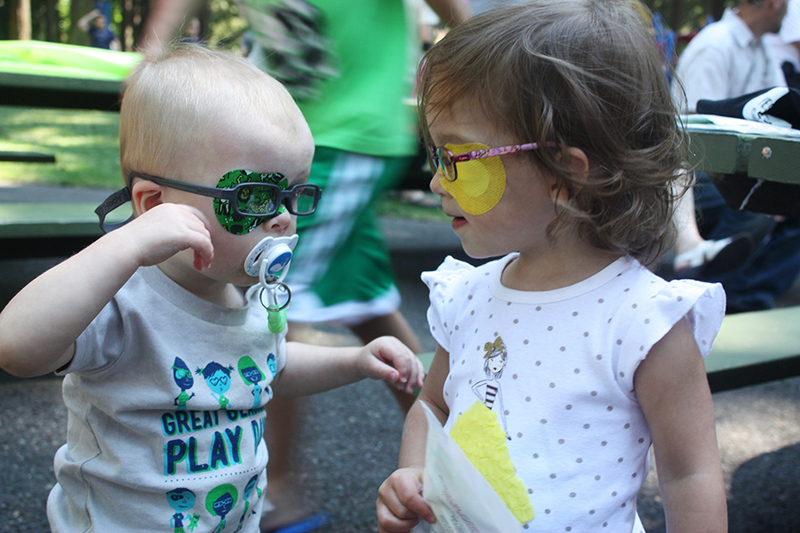 Great Glasses Play Day 2014 updates! We’re getting closer to this year’s Great Glasses Play Day – our 3rd annual event will happen the first weekend in May! What’s the Great Glasses Play Day? For anyone unfamiliar with the event, it’s a day to celebrate kids in glasses, patches, and contacts. It’s a chance to meet up and have a good time and support one another. And it’s a chance to raise awareness of the importance of catching and treating vision issues early. A scene from last year’s Portland event! We have locations around the world where volunteers help to organize meet-ups. These often take place at parks or play areas. Mostly it’s a chance for our kids to get together and make new friends. We’ll provide organizers with flyers and materials for some of the activities, and we’ll help get the word out. So where are the events? Check out the Great Glasses Play Day website to see the most up to date map. We’re still in the planning phase, so you’ll want to check back for the full details. Don’t see a location near you? You can sign up to organize one in your area! And the t-shirts for the day are available, too! Designed by Eye Power Kid’s Wear – proceeds from the sales will help cover some of the costs the come with throwing these events! Order your shirt today! I came across this event while browsing through the internet… reading up on tips for parents with young children with glasses. My 2 year old needs glasses for her nearsightedness and this is just a whole new territory for me. Like many parents in the same situation, this event will prove beneficial for both parents and children.